Spinverse has recently opened a new office in Berlin, in the renowned Factory Berlin HQ – first and largest startup campus in Germany, located at Rheinsberger Str. 76/77. This new presence offers excellent connections within the network of innovators consisting of freelancers, startups from all possible stages and verticals, established corporations as well as investors and leading influencers from politics, science and society. Members of the community include SoundCloud, Uber and Twitter among others. 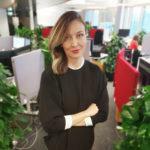 “At Spinverse, we believe that innovations will change the world for the better”, said Laura Koponen, Managing Director of Spinverse Innovation Management. “The Factory’s mission to empower entrepreneurs and create the world of tomorrow resonates with our core values, thus it was only logical for us to locate our new office there and together strive to create the European economy for the 21st century”.